Another big $1,500 toward the principle! That brings the total down to $56,973. Only 3 years and 4 months to go, or less if I can keep up this pace. I don't know if I can though because this month is a big spending month. My nephew is visiting and I enrolled him in video game camp next week where they are supposed to learn about making video games. I suppose it is semi-educational. Also, his birthday is also coming up so I believe a shopping trip for gifts is in order. I am also trying dog fostering again. (I can see you frowning, Mother!) 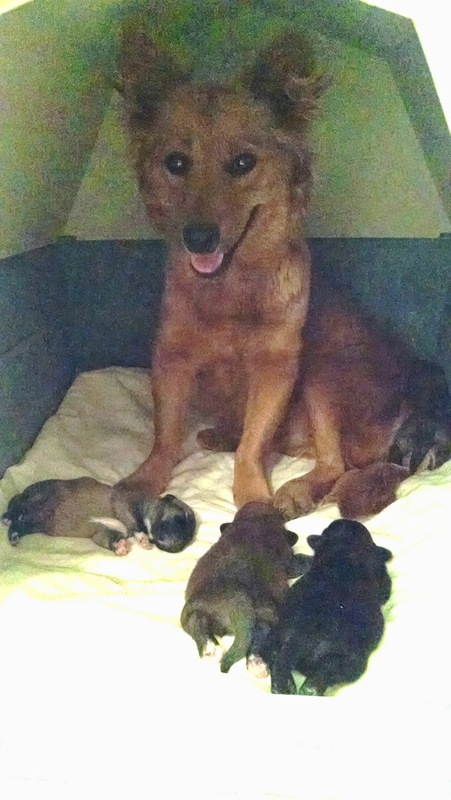 Someone asked me specifically to foster a mom and 1 week old puppies as a foster for the pound. In 7 weeks they go back to the pound since the puppies will be old enough to get adopted. I said that this is the only way I would foster if I ever fostered again. I don't want to spend my Saturdays trying to get dogs adopted at the pet store. And fostering for a rescue that required puppies to be 14 weeks old before adoption was too hard. When puppies get over 8 weeks old they are very hard to contain and very destructive. I still haven't repaired all of the puppy damage around my house from the last group. When I got to the pound to pick up my momma dog and puppies, they only had 4 puppies instead of 6. It turns out that 2 puppies got accidentally washed down the drain when the inmates were cleaning the kennels. Is that the most horrible thing ever? That is just too sad. I am glad that I got the 4 remaining puppies out of the pound and I hope they all continue to thrive. There are just so many diseases that they can catch there. I don't know how any puppies survive the pound at all. Anyway, momma dog and puppies are snuggled in to a doghouse that I brought in to the laundry area. I hope they aren't too much trouble. I'd like to continue to help the pound dogs and fostering directly with the pound could be an easier way to do it. They are only a week old but hopefully they will all make it to the cute puppy stage. Your kitty sure is entertaining!